The Truth of Flipping Houses Exposed!!! People love the idea of flipping a house. Immediately their minds go to “WHAT?? I can make THOUSANDS of DOLLARS in a few months!? !” So they run their numbers on a possible deal – Purchase price + Rehab costs = All in. Subtract that from what the house could be worth (ARV) and whammy! Profit! They purchase the house, do a ton of work, and six months later the house finally sells. They quickly learn that after all their toil, they made A THOUSAND dollars, instead of THOUSANDS of dollars. What we want new investors, potential partners, and those who may want to sell their Raleigh house fast to understand is that there are many other costs in holding a property, which decrease the profit of a project. Below I am going to share with you information that will either help you more accurately estimate the value of a real estate investment or help sellers understand that when The Inspiring Investment sends out an offer on a house, we aren’t trying to unfairly take advantage of a seller: we are simply ensuring we are making a good investment, based on realistic costs/expenses of a project. This allows us to be a successful, profitable business and also helps us protect our investors. This expense changes drastically depending on interest rates we pay to our partners. When we have established a relationship with a partner and they are ready to invest in a project, we determine an interest rate to pay them while holding their money. Before the actual purchase of a property, I do some calculations to see how much it will cost me each day I hold it. The interest rates are annualized over 12 months, then added together for the total months held, down to the day. (From the date of purchase to the closing date we sell.) This way, I know how much money a project is costing me each day. If private lending is scarce, another option for financing a real estate deal is hard-money lending. This, however, is one of the most expensive way to fund a project. Most hard-money lenders (we will discuss this in another post) are charging between 2-4 points (ouch!!). This can kill a deal in a hearbeat. Think about it – for every $200,000 I borrow, I have to pay a company $4,000-$8,000. Most of the projects we are working on, the total profit is between $20,000-$25,000 so roughly 20-40% of that would immediately be gone. Those margins are not ideal to make a project work. When we partner with a hard-money lender, we want to make sure they profit from our relationship, but we also have to protect our bottom line. If we can’t do a project together because they over-charge in points, then there is no profit to be made for either of us. And another reason it is important to pay attention to all the little costs which add up. We typically count on $600 for the purchase, unless we have a 2nd position lender, then we have to account for $1,000. When you go to sell it, count on $150 for deed prep at your closing attorneys office. Unless you really dislike the buyers attorney, it is always easier to have them prep the deed when selling. If you plan on flipping a house and don’t plan on making 17 trips to the dump with your truck then scratch this cost (instead, factor in the cost of fuel and your time for 2 days hauling trash… oh and dump fees). As you see, either way you cut it, you’ll be spending ~ $400 for one small dumpster to thousands depending on how much stuff is left in the house you bought. Every time you think you need 1 dumpster multiple that by 2. It’s inevitble. Its deceiving. Its the truth. 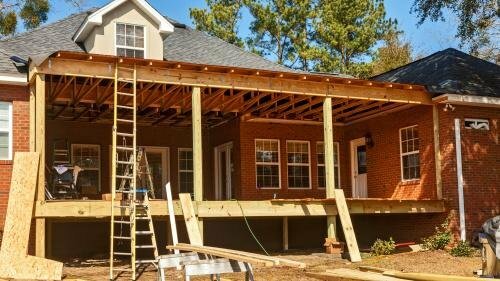 This can vary drastically from state to state, but here in NC our Insurance Agent wants us to have an under construction policy for a house we are flippping. It covers tools/materials along with the value of the home in current condition and finished condition. We pay between $600-$1,000 a house. Vacant house policies are crazy expensive (~2x the construction policy) so avoid those until the home is complete and on the market. … Cost so much more than you think. If you walk into any of my current flips during the summer, head straight for the thermostat. I swear a set it at 75 degrees when I left yesterday… But what will you see? 62 degrees!!!! WHAT?? Contractors love to move that little toggle when it gets hot or cold outside. Do not use the utility bills at your own house to determine how much it will cost at your flip. Double or triple it monthly. Yes, that’s right. We were getting hit with $400+ electric bills last winter at some of our houses. I swear they had the windows open and the electric heat on 80 the whole time I wasn’t there! Count on $1,000-2,000 to be safe, depending on the size of the house. After doing 3-4 flips it is easier to get a handle on the costs. Consider putting locks on the thermostat. When you purchase a house from a homeowner this typically isn’t a cost as you both will pay your pro rated amount (percent of ownership) for the year so if you purchase the house on September 30th youll pay ~25% of the year in taxes. If you buy a house from auction, like we sometimes do, you are responsible for any not paid by the previous owner/bank. You need to check the county tax assessors office and see what is owed, as this can amount to $1,000-3,000 really quick depending on location and tax rate. When you purchase a house, you will have to pay for the amount of days you own it before you sell. just like interest, this calulates out for a daily rate and the government always gets theirs! Check the assessors website and get the yearly amount due. Let’s say its $3,650 for simplicity sake so $10 a day, if you plan on holding the property for 180 days or 6 months add in another $1,800 to the project. When selling in most counties around the country you have to pay them…AGAIN!!! In Wake county, NC where we do a majority of our business, the current calculation is (Gross Sales Price / by 500) for an example, if we sold a house in Raleigh for $300,000 we would have to pay out another $600: ($300,000/500 = 600). Just in case you didn’t know it, these are negotiable, and negotiating in this business is crucial for success. There are typical listing fees in your area. Most are somewhere between 5-8% around the country. Here in Raleigh 5.5-6% is typical. In Durham its really hard to pay less than 6%. In low priced markets (sub 100K sales prices) 6-8% listing fees are common. Quick math for profit: $300,000 – $230,000(Purchase Price + Rehab) – $42,350(Hidden Costs) = $27,650. Not too shaby, but without considering the other costs involved with running the project then it would seem you should have made 10’s of thousands more. 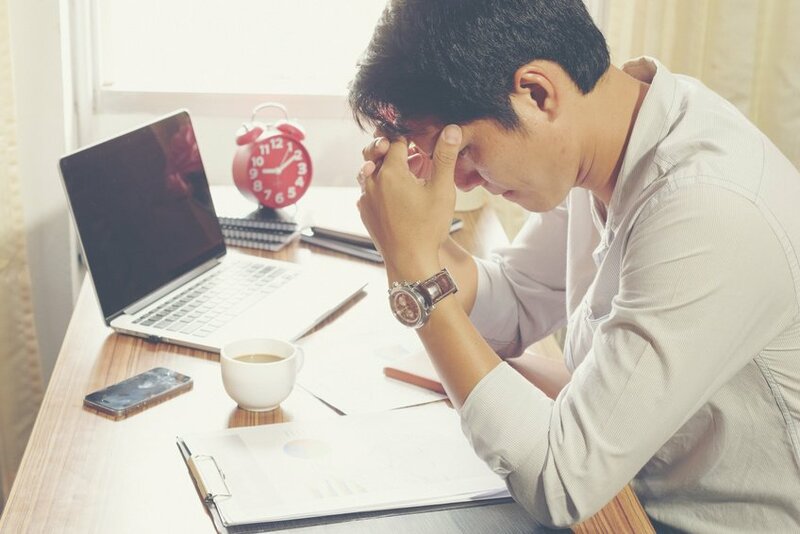 Long story short, be sure to pay attention to the details when making the decision to invest, that way you can rest assured that you are making a good decision. If you are interested at in partnering with us on a project, please feel free to reach out and contact us. ** disclaimer: please note that the above example was given purely to assist in estimating holding costs of a property and not to guarantee a certain interest rate or portray what we offer our investors. This is not an example of an actual flip but a fictional one. The purpose of this post was to share in our experience and help people see there are more costs to flipping a house than just rehab and purchase price.